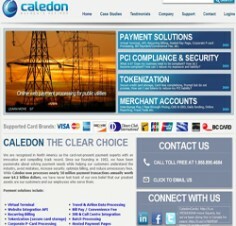 Caledon is a North American payment processor that was founded in 1983 and has over 30 years experience in solving the payment needs of their customers. These solutions include providing understand about the payment processing industry, reducing merchant costs, increasing security, optimizing billing and helping merchants avoiding mistakes. As of 2013, Caledon processes over 50 million transactions with a value of $4.2 billion annually. Payment solutions provided by Caledon run the gamut of available services and include virtual terminals, website API integration, recurring billing, hosted payment pages, tokenized secure card data storage and call center integration. Whatever needs a merchant has in terms of payment processing, Caledon has a solution to meet those needs. In addition to the payment gateways, Caledon can also offer merchant accounts that feature transparent pricing, processing of both Canadian and US dollar transactions, full PCI level 1 compliance, free fraud tools, and 24/7 customer support. It should be noted that businesses must be located in Canada to access the merchant accounts available through Caledon. Caledon is also very serious about the security of their merchants. They offer tokenization services that store customer card data securely in Caledon’s own servers. 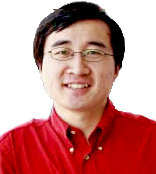 The data is stored in such a way as to be useless to any hackers or fraudsters who might gain access to any of the tomeized data, keeping merchants safe from data breaches. While Caledon can provide payment processing for any merchant located in Canada, they are specialists in the travel and airline industries, the utility industry, and property management companies via their proprietary solutions. This is your fair warning if you read this. I am not sure this company isn’t a front for a larger illegal operation. What they due is lure you away from your current payment processor with a lower rate. Once you get setup and rolling for a month or so they then indicate your account is high risk and then setup a reserve account and still allow you to charge but the money you charge through their terminal goes into their bank account and not yours. I have been fighting with them for about 6 months and now have to take legal action to get my tens of thousands of dollars back. There is your warning. The few basis points you save on your processing will never be worth the thousands of dollars they will try to steal from you.